Do we want maximum control over our cloud? Discover the best extensions to integrate clouds in web browsers. 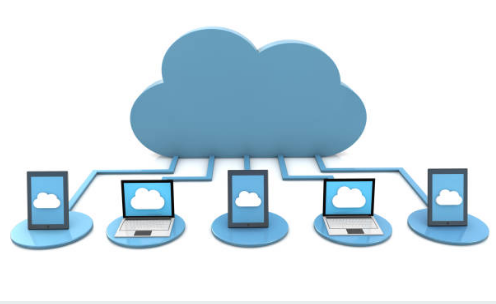 Cloud computing has revolutionized the use of the PC and the storage of the most important files and documents. Thanks to them you can bring along all the files that we can not do without even when we are from the office PC or we want to send an important email from the smartphone containing the last prospect of the company month. If we are in the office, however, it may be difficult to install clients to manage all the clouds, considering the danger that personal files can be copied on public use PCs or accessed by some other employee. Here we will show you how to make the most of the cloud by integrating them directly into the Web browser through extensions, which can provide some of the most sought-after features. There are extensions for all the most famous cloud and offer: integration of services and features, increased browsing safety and image loading and (among more useful things) the ability to copy or move content in one cloud space in another, so you always have a large number of copies saved. Some also allow you to interface with personal servers via FTP and WebDAV, obtaining a convenient offline component where you can save files (also present in the cloud!). To integrate some of the cloud services available on Google Chrome we can use one of the following free extensions. With this extension, we will be able to access the Apple cloud and any Web apps installed on an Apple device already in possession. It also supports notifications in addition to the main features present in the iPhone. 2) Save to OneDrive Do we use Microsoft’s OneDrive as a space to save photos in the cloud? If during the navigation we want to save links and photos from Web pages we can use this extension, so that we immediately have a copy in the cloud of the photo or the link found (ready to be opened by another PC or mobile). MEGA is one of the cloud services that offers the largest free space (50 GB), ready to be used for documents and personal files. The site is famous for its high security and to be (in many respects) the heir of the deceased Megavideo and Megaupload, although with anti-piracy measures much stiffer than in the past. The service can be used without any extension, but installing the official one on Chrome we can increase the connection security, the download performances and the loading times of the MEGA pages. We want our files to be synced simultaneously on Google Drive and other Cloud services (Box, OneDrive, Dropbox and others? We will not have to do anything else but rely on the extension offered by the CloudHQ service that can show us in real time the synchronization process on all our cloud as well as the ability to save attachments, images and files on the network across all clouds together. We have a lot of files saved on Dropbox but the subscription has expired or will expire very soon? Before losing the saved files we can move them all on Google Drive (which offers much more free space) using the Transfer Dropbox extension to Google Drive. The extension will allow you to access the Dropbox and Google Drive space at the same time. You can also move the folders and files from one cloud to another. In addition to Dropbox, file backups are also supported via FTP and WebDAV on Google Drive and migration from MEGA and OneDrive (also to Google Drive). For Mozilla Firefox, there are many more difficulties in finding useful extensions for cloud services. Since this free Web browser has completely changed its structure and code. Many apps no longer compatible (from version 57 onwards). Waiting for compatible extensions to appear here are those that we could find ready for Firefox Quantum. This experimental extension will allow you to connect all the cloud in our possession in a single search engine. Hence, you can easily search for a file or folder in one or more places! Just open the extension and associate one or more compatible cloud: Gmail, Outlook, Dropbox, Google Drive, Box, OneDrive, Sharepoint, Sharefile, Salesforce, Hubspot, Azure, Jive, S3, SugarSync and many others. This simple extension shows a Google Drive icon in the top bar of Mozilla Firefox. Clicking on it will immediately open the Google Drive space in a new browser tab. All the files and folders of your existing cloud space will be there. If we have already logged in we will immediately see the cloud space. Otherwise, you will need to enter Google’s credentials to access our profile. At the moment it does not offer other functionalities, but we can be sure that with time will come new integrations with the Google cloud service.